NAMMALVAR, P. , RAMKUMAR, S.
This paper projects Parameter Improved Particle Swarm Optimization (PIPSO) based direct current vector control technology for the integration of photovoltaic array in an AC micro-grid to enhance the system performance and stability. A photovoltaic system incorporated with AC micro-grid is taken as the pursuit of research study. The test system features two power converters namely, PV side converter which consists of DC-DC boost converter with Perturbation and Observe (P&O) MPPT control to reap most extreme power from the PV array, and grid side converter which consists of Grid Side-Voltage Source Converter (GS-VSC) with proposed direct current vector control strategy. The gain of the proposed controller is chosen from a set of three values obtained using apriori test and tuned through the PIPSO algorithm so that the Integral of Time multiplied Absolute Error (ITAE) between the actual and the desired DC link capacitor voltage reaches a minimum and allows the system to extract maximum power from PV system, whereas the existing d-q control strategy is found to perform slowly to control the DC link voltage under varying solar insolation and load fluctuations. From simulation results, it is evident that the proposed optimal control technique provides robust control and improved efficiency. 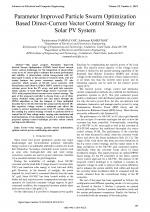 S. Li, I. Jaithwa, R. Suftah, X. Fu, "Direct-current Vector Control of Three-phase Grid-connected Converter with L, LC, and LCL Filters," Electric Power Components and Systems, vol.43, no.14, pp.1644-1655, 2015. 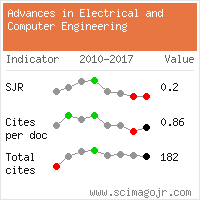 Citations for references updated on 2019-04-18 21:14 in 138 seconds.